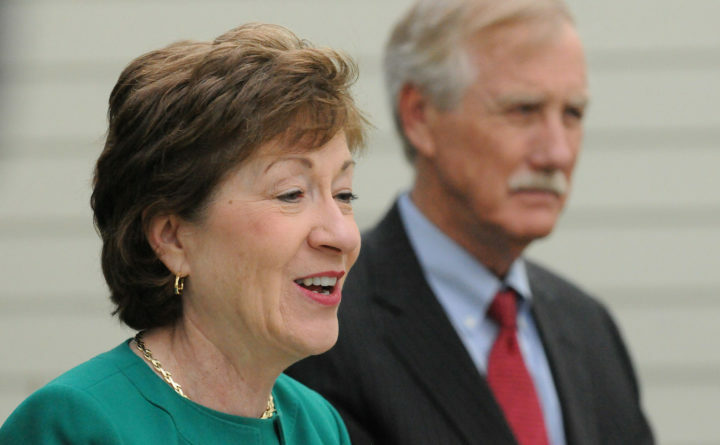 Sen. Angus King and Sen. Susan Collins in May 2014. Good morning from Augusta, where politicians’ popularity, Medicaid expansion and human trafficking are churning the conversation. Maine didn’t change its mind much overall on statewide officials in the final quarter of last year, but the base of its senior senator shifted to the right. A majority of Maine voters approved of U.S. Sens. Susan Collins and Angus King in polling from Morning Consult in the last three months of 2018. Collins, a Republican, had a 53 percent approval rating and King, an independent who caucuses with Democrats, sat at 57 percent. Their figures barely moved from Morning Consult’s polling in the previous three months, though Collins base looks totally reconfigured after her vote for and spirited defense of U.S. Supreme Court Justice Brett Kavanaugh, who faced allegations of sexual assault as a teenager. Collins’ approval rating improved by a whopping 46 percentage points among Republicans — many of whom were angry with her over 2017 moves to uphold the Affordable Care Act — and an apparent corresponding decrease in support from more liberal voters. Though her base is shaken up, it’s all a sign that Collins’ position may not have weakened as strongly as Democrats hoped for after the Kavanaugh vote. She is up for re-election in 2020 with Maine House Speaker Sara Gideon and Susan Rice, the former U.S. ambassador to the United Nations with Maine ties, publicly mulling a run against her. In the last full quarter of his tenure, former Gov. Paul LePage, a Republican, saw 39 percent approval during 2018’s last quarter, a number that barely changed from the previous three months and about equals the share of Maine voters who narrowly elected him in 2010. We’ll see Gov. Janet Mills’ first approval rating from Morning Consult in the spring. The new governor is taking the first steps to round up people eligible for expansion. Mills’ nominee to lead the Department of Health and Human Services, Jeanne Lambrew, will lead a Medicaid expansion roundtable with health care providers and other relevant stakeholders on Thursday morning at the Camden National Bank Ice Vault in Hallowell. The meeting follows the new Democratic governor’s executive order last week directing DHHS to begin implementing voter-approved Medicaid expansion after LePage had repeatedly blocked it. Mills’ office said today’s gathering is one of the first steps by DHHS to develop an outreach and communications plan to enroll eligible Mainers. The House and Senate are not meeting today, but some lawmakers will participate in an event aimed at drawing attention to state measures designed to stop human trafficking. Six related bills have been submitted to the Legislature this session. Sen. Cathy Breen, D-Falmouth, who has proposed not charging people under 18 who are engaged in prostitution with a crime, intends to speak at the event, scheduled for 11 a.m. in the Hall of Flags. Mills will also speak at the gathering, which is being hosted by a survivor-led organization working to end trafficking and sexual exploitation. Meanwhile, most legislative committees will begin meeting next week, when the House and Senate will launch into regular floor sessions on Tuesdays and Thursdays. — The new governor will release voter-approved bonds that the old governor held up since 2015. A spokesman for Mills said Wednesday that she would authorize the spring sale of a $15 million senior housing bond that was blocked by her predecessor after being approved by Maine voters in 2015 amid a larger backlog of voter-approved bonds that haven’t yet been issued. The housing bond, which passed with 69 percent support in a statewide referendum, sat in limbo because LePage opposed it and legislators were not able to circumvent his opposition. The housing bonds are among $264 million in voter-approved bonds that remain unissued, according to data from State Treasurer Henry Beck’s office. Beck plans to address part of that backlog with the spring bond sale. — A newly released report highlights Maine’s long-term problems in providing mental health care to children. After five months of interviews, data analysis, surveys and town hall meetings, Boston-based Public Consulting Group determined that services are often not available immediately or at all for Maine children with behavioral disorders, autism, developmental delays, depression or anxiety, post-traumatic stress and attention deficit disorder. The Dec. 15 report, produced for the Maine Department of Health and Human Services, put forward 24 recommendations for improvement, as part of the first major review of children’s behavioral and mental health services in Maine since 1997. Researchers found that the majority of children on waitlists for the intensive services of functional family therapy and multisystemic therapy are waiting longer than 120 days for care to address needs that are generally urgent. And the average child waited 59 days for residential services in state fiscal year 2018, up from 37 days in fiscal year 2016. An estimated 65,786 Maine children, ages 2 to 17, have been diagnosed with a developmental, mental or behavioral issue. — Active-duty Coast Guard members don’t know if they will receive the paycheck that’s due next Tuesday. Unlike other branches of the military, Coast Guard members fall under the authority of the Department of Homeland Security, so their pay is not guaranteed during a federal government shutdown. They are due for a check on Jan. 15, but uncertainty about whether they will be paid has caused stress for Maine families and spurred a shutdown survival tip sheet from President Donald Trump’s administration to suggest that they hold garage sales to raise money for bills that would otherwise be covered by their earnings. 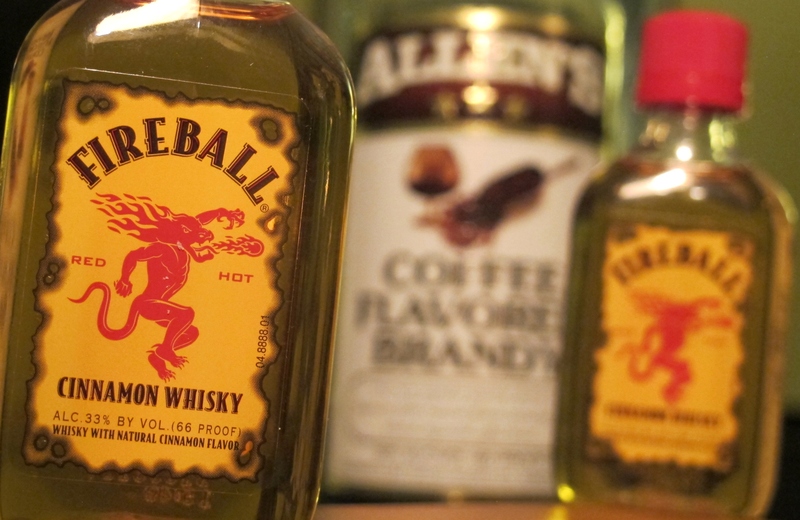 — Meanwhile, shutdown talks between the president and congressional Democrats broke down. Trump abruptly left a Wednesday meeting with House Speaker Nancy Pelosi, D-California, and Senate Minority Leader Chuck Schumer, D-New York, after Pelosi said she would not agree to fund a U.S.-Mexico border wall. Word that Vermont jam band Phish will play two June shows in Bangor sent sparks through the BDN’s internal communication system on Wednesday. “I hate Phish,” one person volunteered without provocation immediately after the news broke. Others started taking bets on when the first Bangor resident would utter, “Damn hippies, get off my lawn.” That was countered with “I’ll happily rent my lawn out for a couple of people to camp on” from a new homeowner. A more diligent member of the editorial staff started working on headlines. “Entire Queen City to get contact high” seemed to be the favorite. For a band that specializes in music designed to let listeners settle into their mellow places, Phish evokes strong emotions, at least among my peers. However, I am Phish agnostic. I’ve never seen them perform and, honestly, usually tune out when their music comes on. I don’t intentionally dislike it, my interest just fades away quickly. My strongest connection to Phish derives from memories of how this relatively gentle jam band triggered exaggerated reactions all over Maine when they headlined a 1997 festival at the former Loring Air Force Base. Visions of bleary-eyed hippies streaming up the turnpike to bring the worst of Woodstock to Maine caused genuine fear in some communities, where even folks who lived far from Limestone talked about how to protect themselves. The Daily Brief that went out via email Tuesday contained two errors. Sen. Mike Carpenter, D-Houlton, has submitted a bill to lengthen terms for senators, not reduce them as was stated and a bill from Rep. Larry Lockman, R-Amherst, is aimed at banning political, ideological and religious advocacy in the classroom. It would not ban political speech.